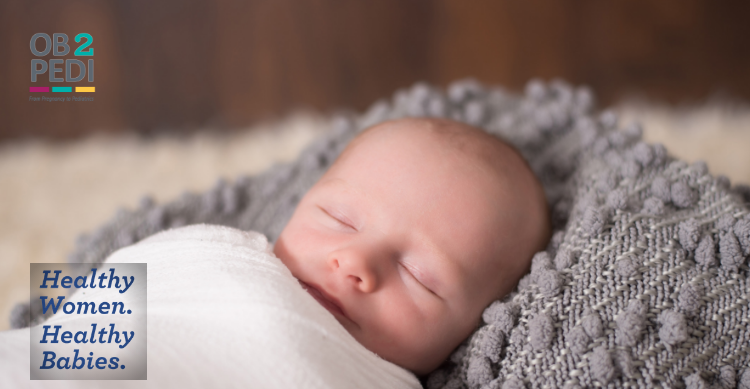 During the first few weeks as a parent, you might question whether certain features or symptoms in your newborn seem normal. Many are a natural part of the transition from birth as your newborn gets used to life in the outside world. Learn more about some common signs below. You might notice white bumps on your newborn’s face that look like pimples. Known as milia, these harmless spots disappear on their own after a few weeks. Your baby’s skin will also shed. The top layer of your newborn’s skin begins flaking off shortly after she or he is born. If you think your newborn seems like he or she is covered in hair, it’s not your imagination. This fine, down-like hair is called lanugo and is most noticeable on the baby’s back and shoulders. Lanugo is common in premature babies and typically wears off within a few weeks. You may notice two soft areas on the top of your baby’s head where the skull bones haven’t yet grown together. These spots are called fontanels and accommodate a baby’s rapidly growing brain. You may even notice these spots pulsating when your newborn is crying or straining. This area is safe to touch and usually fuses together within two years. During childbirth, pressure from the birth canal might cause your baby’s skull bone to shift and overlap, resulting in an elongated or cone-shaped skull at birth. You can expect your newborn to have a more rounded head within a few days of birth. Crusty or oily scaly patches on your newborn’s scalp are due to a condition called cradle cap. It’s not painful or itchy but can cause thick white or yellow scales that are not easy to remove. It usually clears within on its own within a few months. Home-care measures include washing your baby’s scalp every day with a mild shampoo to loosen the scales. Next week, we continue our look at what parents can expect from their newborns. Read more about Legacy’s Ob2Pedi program for infant and maternal health here.